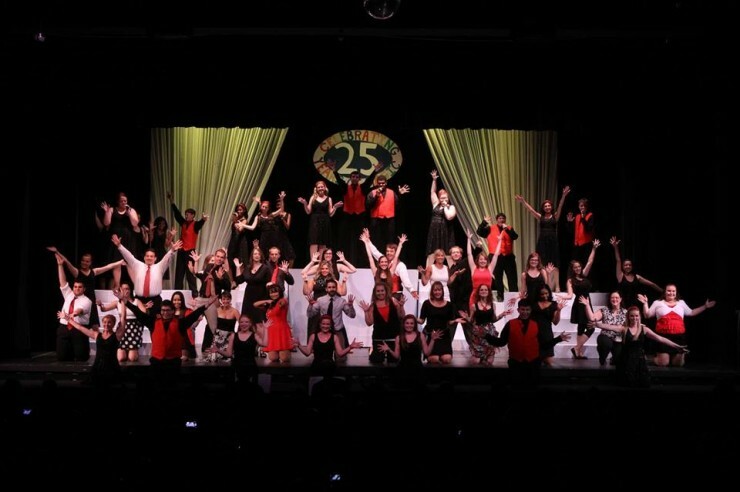 Harmony Show Choir is an auditioned only group of 52 high school age performers from the Southern New Jersey area. They are professionally staged and choreographed in a high energy, family oriented musical revue. Their show contains a great mix of styles including: Broadway and newer Broadway tunes, oldies, Disney, The Great American Songbook, gospel, swing, pop, and country. Some of the selections are: The Lion King, Smokey Joe’s Cafe, The Blues Brothers, Gershwin Rhapsody, Jersey Boys (Frankie Valli and the Four Seasons), Soul (Supremes, Smokey Robinson, Tina Turner), Jump, Jive & Wail, and Sing, Sing, Sing, among many many others. They can perform a show a long as 90 minutes without repeating material.For More Information or Bookings, Contact Us.